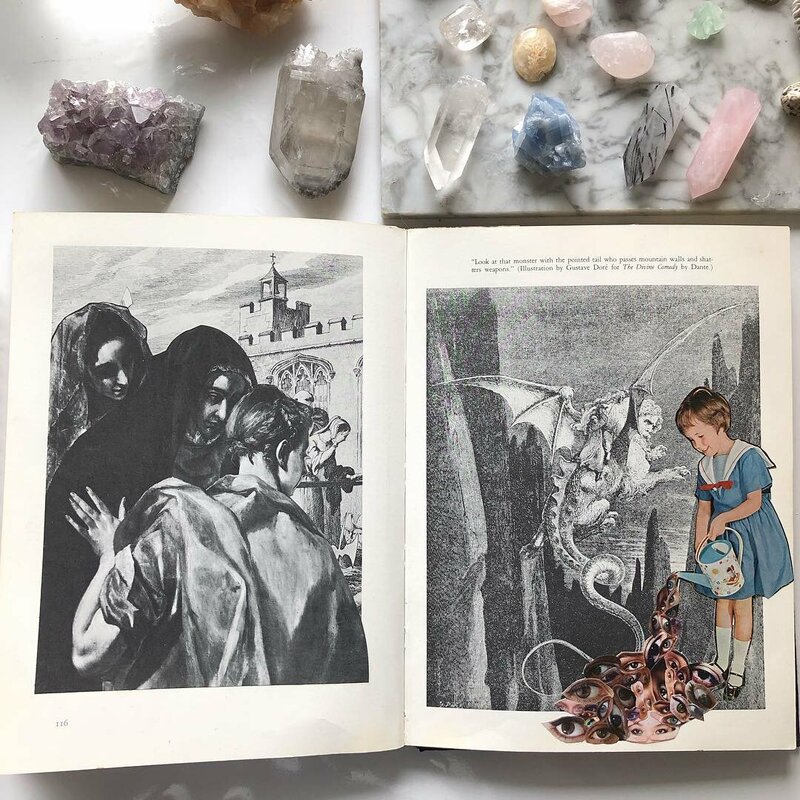 Last month I took an altered book class on Creativebug, and I swear it somehow altered my life! (See what I did there? 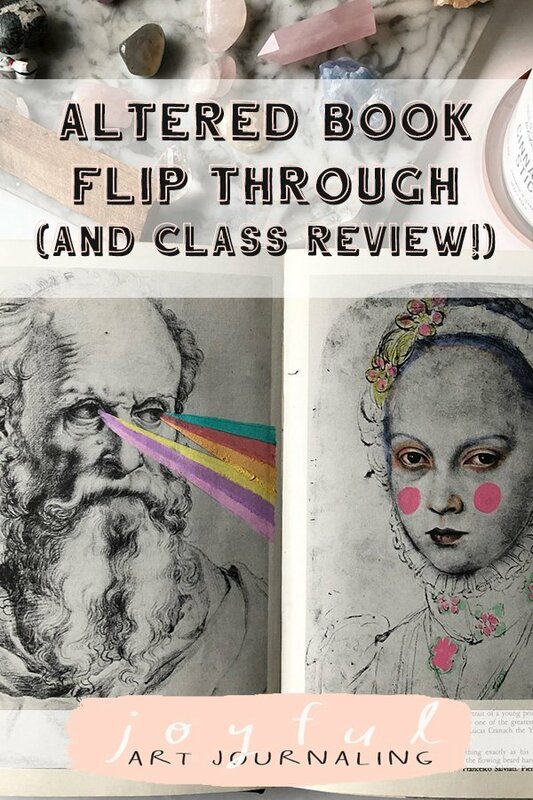 藍) So today I’m going to share this Altered Book flip through, as well as share some of my experiences in the class! 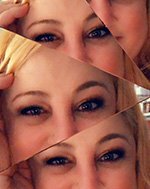 This post contains affiliate links, which means I may earn a commission if you click through and purchase something. Want to know more? Click here! 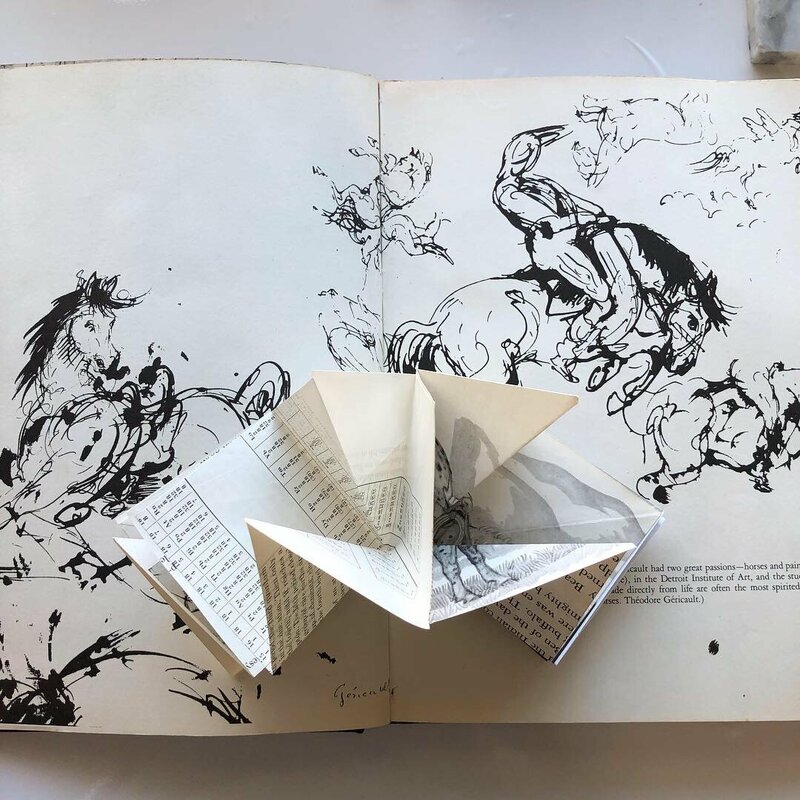 I made a video of my altered book flip through, which you can watch at the bottom of this page. But first I want to share more about the class, and give you a closer look at some of the pages I made! First of all, the teachers for this class, Faith and Courtney are so much fun! They made me look forward to every single day, just so I could watch the lesson and follow along. 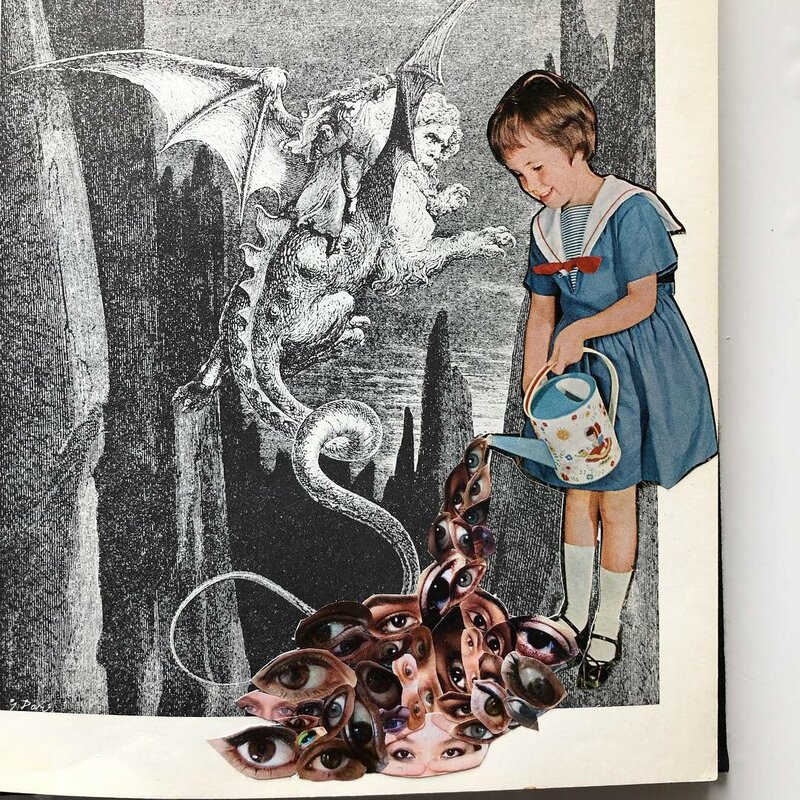 It’s because of this class, I think I might actually be an altered book artist! 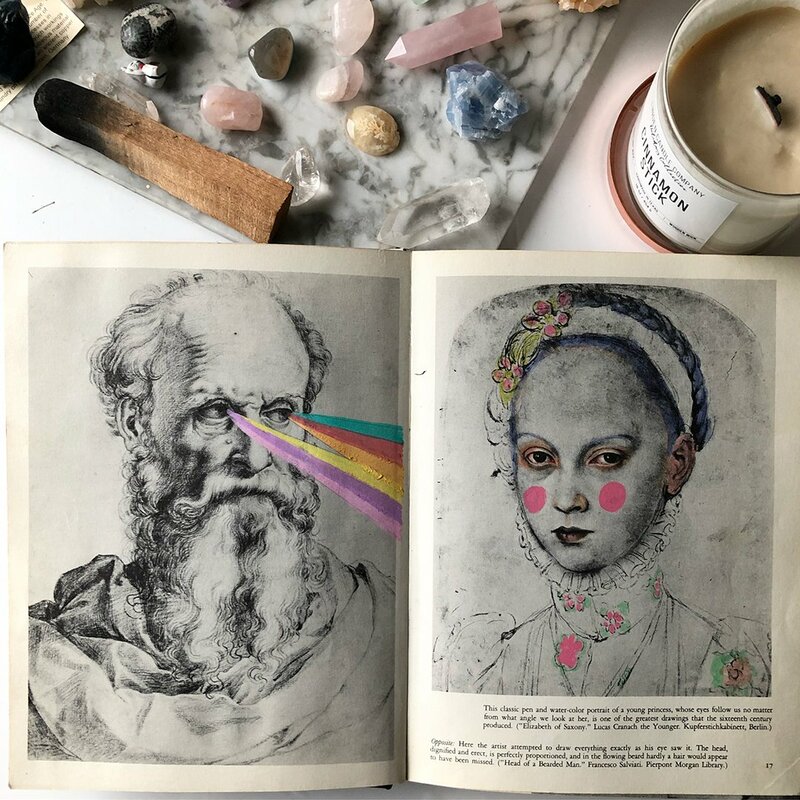 Don’t get me wrong, I’ll forever be a creative explorer… But I think that’s why I love altered book arts (and art journaling! ): you can do pretty much whatever you want to do! Everything under the sun, no two exactly alike. Its own kind differs, an individual twist. When an artist wishes, slight divergence always occurs. enhance the quality of play. How delicately she handled this most familiar. and feel at home with them. whatever the artist intended to convey. Even the flying monster (by Dore, from The Divine Comedy) is like, what in the hell?! 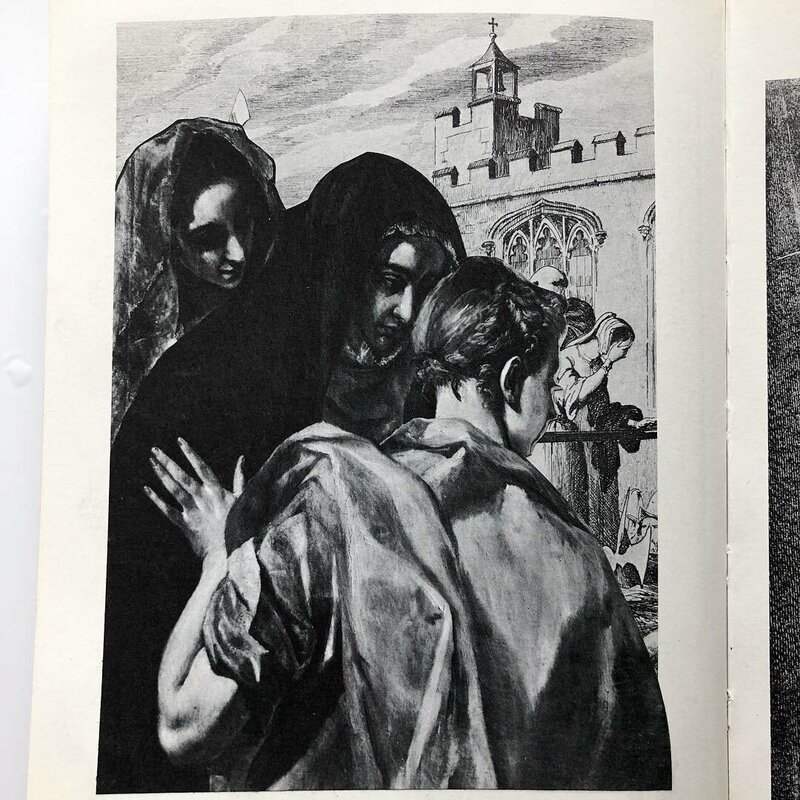 I should mention that the book I chose to use was a discarded library book called “Drawings to Live With” (from 1966.) Many of the pages were torn or soiled, so I didn’t feel bad about cutting it up and making it into a new piece of art. In fact, “Drawings to Live With” kind of became the theme of my book, as I used a lot of my old art in there. Prints that I had tucked away, and even some originals are now stored in there. I wasn’t doing anything with them anyway. So why not give them a fun “home” to live in!? The idea kind of just came to me when I looked at these pages. 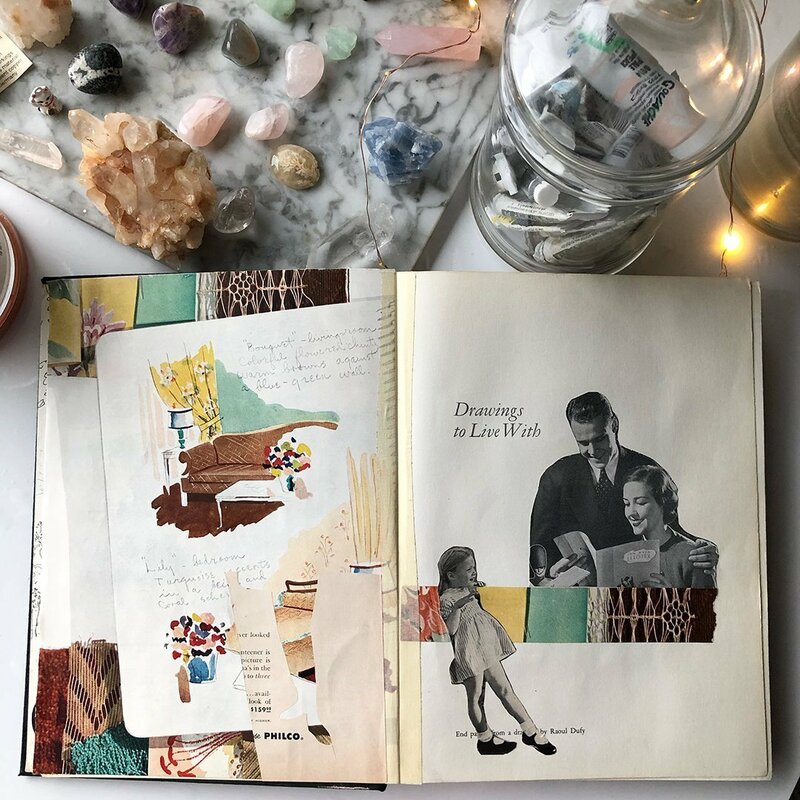 But there is a similar prompt in the Altered Book class where you just work with what is on the page. I imagine that would be a bit harder to do if there was only text, but the class gives you some cool ideas! In fact, something to note is that I didn’t even do all of the prompts from the class, and even some that I did do, and share with you here, are my own take on that day’s lesson. So needless to say, if you end up taking the class on Creativebug, you’ll still be surprised (and delighted!) with each day’s lesson. 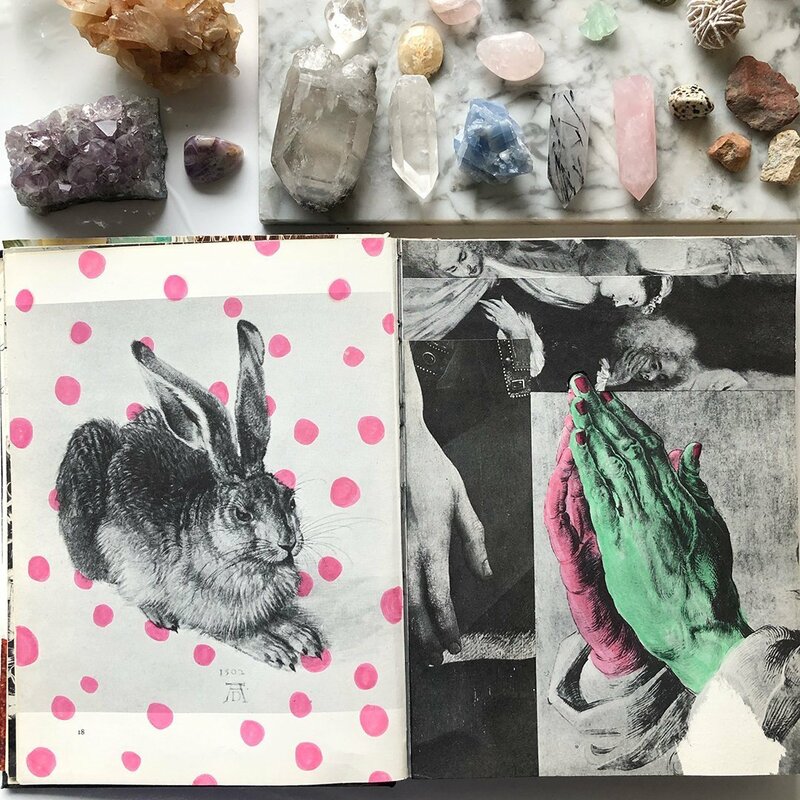 And one more spread, just for the fun of it….